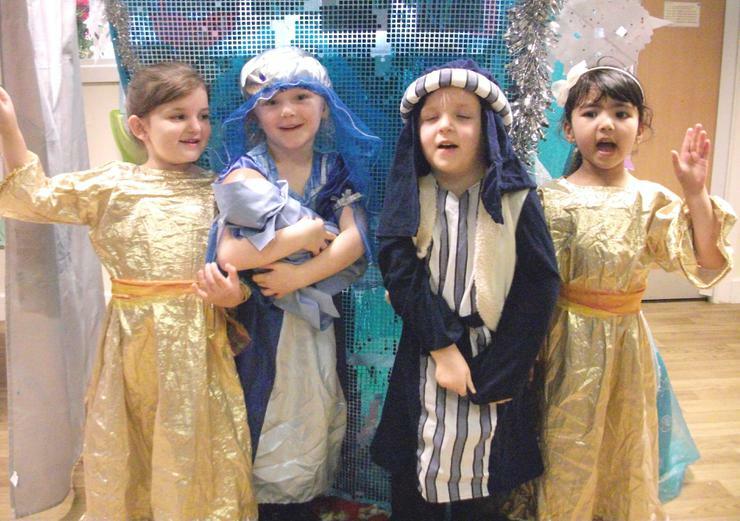 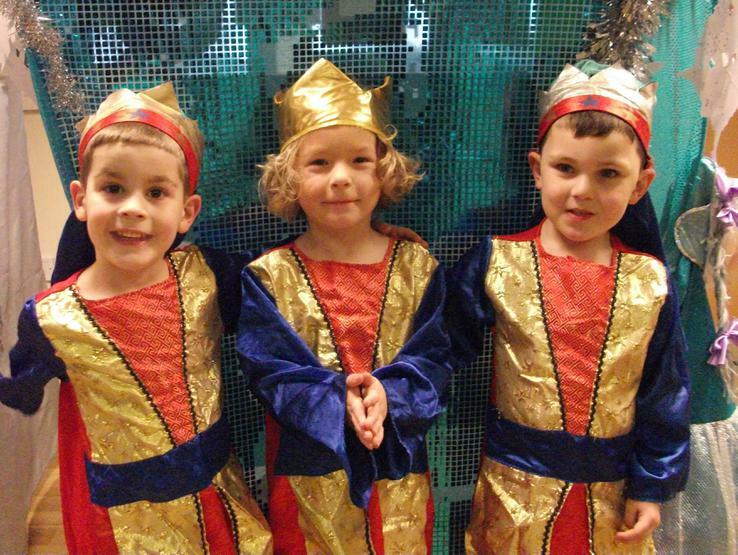 Here are some of the cast as they prepared for their final performance of the Wriggly Nativity which tells the Christmas story almost entirely through songs, actions, movement and dance. 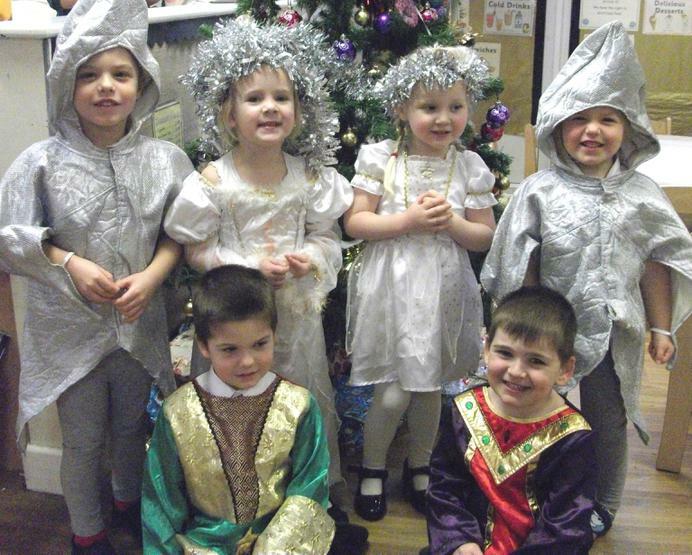 The children thoroughly enjoyed learning the songs, dressing up and they sang their hearts out! 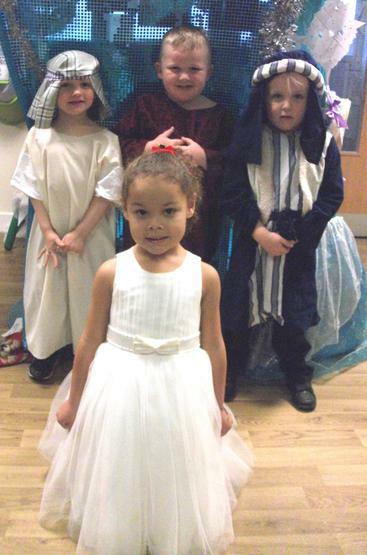 They were all superb!